Open-jaw flights from Europe to Johannesburg from €328! Etihad Airways cheap return flights to exotic Bali from €424! Venere.com promotion code 2016 – 8% discount off accommodation! How to apply Venere.com promotion code 2016.: To get 8% discount off hotel accommodation booking through this booking agent simply reveal this discount code and once you proceed to billing information use this promotion voucher code. Separated column “Enter your coupon code” to where you can past this promo code is located to the right side just under total price. 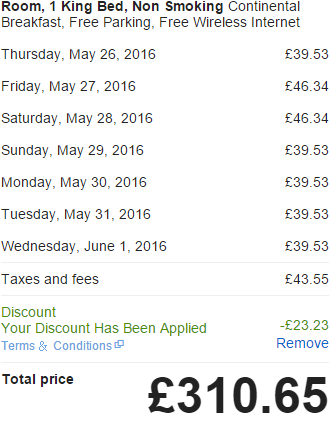 Once you enter this valid discount code your payment will be automatically recalculated. If you want to take the advantage of this Venere.com discount code you have to book your hotel accommodation till 30th of December 2016. Voucher code works for travel dates till 31st of March 2017. Below you can find working booking sample through Venere.com using this promotional code 2016 easily saving 8% off total hotel accommodation fare. 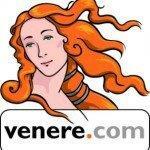 In this case you would easily save £23 just by using this free Venere.com promotion code. You would stay in New York for 7 nights. You would check in on 26th of May 2016 and check out on 2nd of June 2016. Enjoy your discounted accomodation with Venere!